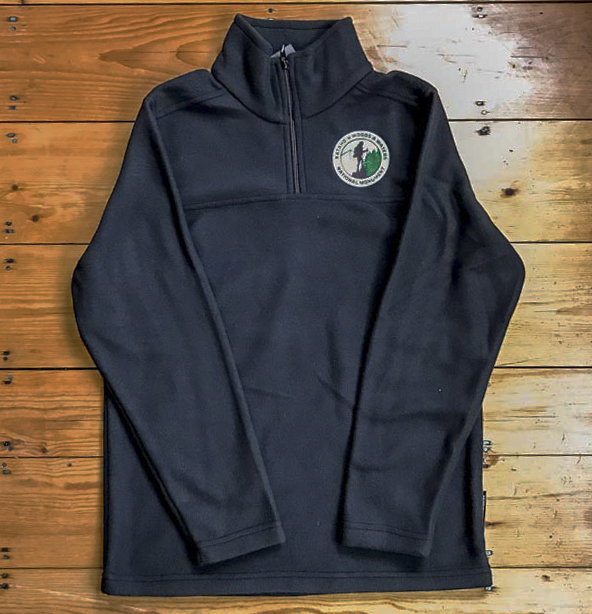 You’ll be looking good in this attractive Polartec Micro pullover sporting the Katahdin Woods and Waters National Monument embroidered patch. Light-weight and comfy for multi-season wear, it features an easy entry zip top. Pair it with our Polartec vest for an active fashion statement or thoughtful gift. Crafted in Maine using 100% American-made fabric and materials. Color: Black. Available in unisex sizes: S-XXL. Note on unisex sizing for women: Consider ordering one size smaller than what you usually wear, unless you prefer a generous, looser fit. For example, if you regularly wear a large women’s jacket, you would order the medium size in unisex.